Herein players and DMs will discover everything needed to breathe life into their underworld characters and city settings. From descriptions of the criminal underclass, their guilds and organizations, a dictionary of their secret cant and signals, to their crimes and the punishments they carry, this book details life in a fantasy-medieval city populated by rogues and scoundrels. Also found within are prestige classes, equipment, maps, and spells usable in the 3rd Edition of the world's most popular fantasy roleplaying game, as well as new classes for use in the Lejendary Adventure System. 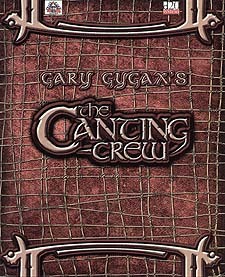 And all is from the author who started it all, Gary Gygax! Requires the use of the Dungeons and Dragons Player's Handbook, Third Edition.